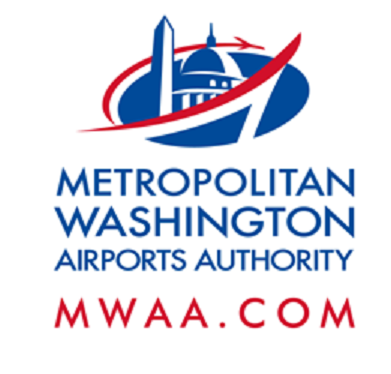 Pedestrian Detour on Sunrise Valley Drive Monday, Nov. 14 – Thursday, Nov. 17 and Monday, Nov. 21 – Tuesday, Nov. 22, 9:30 a.m. to 3 p.m.
Monday, Nov. 21 - Tuesday, Nov. 22, 9:30 a.m. - 3 p.m.
On or about Monday, Nov. 14 through Thursday, Nov. 17, AND Monday, Nov. 21 through Tuesday, Nov. 24, between the hours of 9:30 a.m. and 3 p.m., utility location work will require the closure of the south sidewalk on Sunrise Valley Drive, between Reston Parkway and Colts Neck Road. 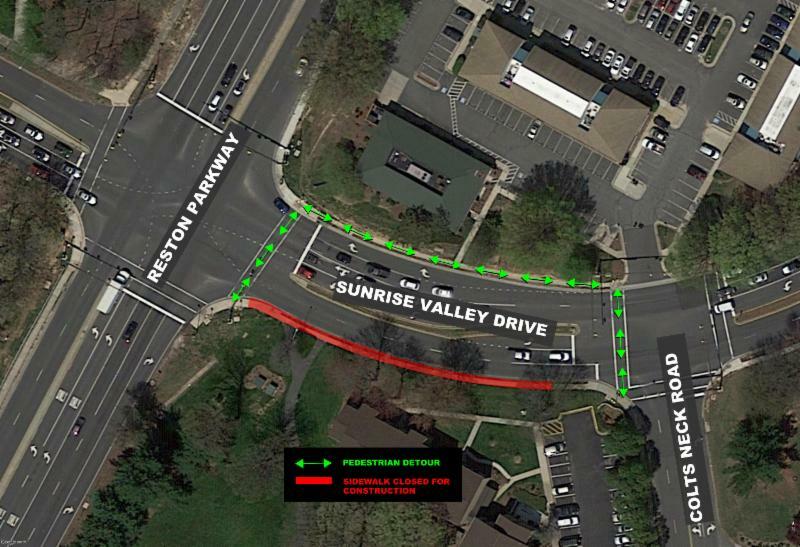 During working hours all pedestrian traffic will be detoured to the north sidewalk via the crosswalks located at the intersections of Sunrise Valley Drive and Reston Parkway and Colts Neck Road. Please obey all signage and traffic lights and, for everyone's safety, do not attempt to enter the construction area.